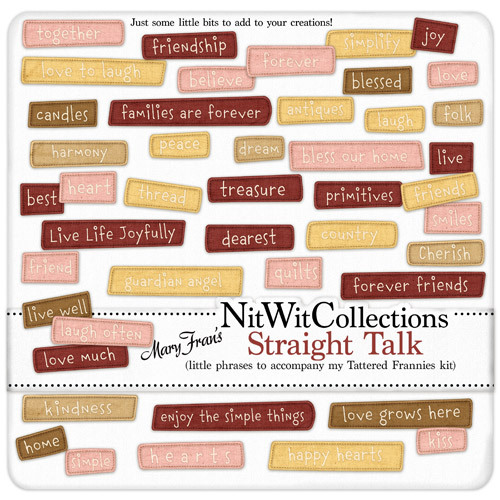 So I was happily making little "stitched" words & phrases to use with my "Tattered Frannies" kit that before I knew I looked up and had made way more than I thought... so I figured I'd put together a little package of them and let you decide iffen you'd like them or not. Yup, just some "Straight Talk" to compliment your layouts! 45 Darling little stitched words and phrases to add some talk to your pages!